Be the first to hear about their new releases and deals. 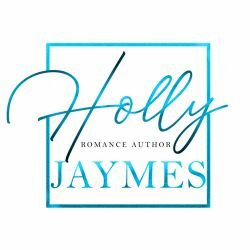 Download the Booksprout app and search for Holly Jaymes today! All of Holly's romances involve passionate, alpha males who don't shy away from demonstrating just how they feel about their sassy heroines. Because, let's face it, those are the best kinds of book-boyfriends to have. Expect swoon worthy romance, juicy drama, lip-biting scenes and satisfying happily ever afters; that will have you flipping the pages way past your bed time.